The LVCN414 Series is a non-contact, ultrasonic level controller and transmitter that delivers reliable, cost-effective, high-performance, small-tank fluid handling control solutions. The LVCN414 targets process, control and chemical feed applications in small tanks mounted on skids, tools or machines. The LVCN414 allows flexibility in applications designed for system integration or retrofit of floats, conductance, and pressure sensors, and is easily configured through a USB connection and the Windows XP compatible software download available free at omega.com/ftp. The LVCN414 gives precision and accuracy that allows for real-time/ anytime measurement, lowering operational costs and increasing productivity. Level indication for process or control automation applications can be monitored via local display or remote PLC. 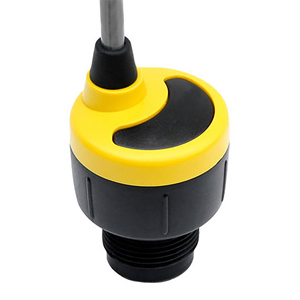 The LVCN414 is a total small tank level control and measurement solution. Configuration: Via USB/ PC Windows® software interface and free PC software download.